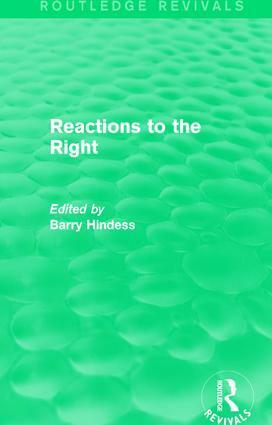 First published in 1990, this book was intended as a counter to the rising and continued strength of the New Right and an attempt to bolster the perceived weakness of the opposition — providing a critical discussion of New Right ideology and also of the more influential Left reactions to them. The contributors scrutinise the attempts to reconstruct the idea of socialism in the 1990s, and pinpoint the relation of socialism to freedom, equality and the market. In the course of this searching evaluation, they also take up issues relating more directly to specific policy areas such as monetary policy and international finance, secondary education, social welfare, and race relations.